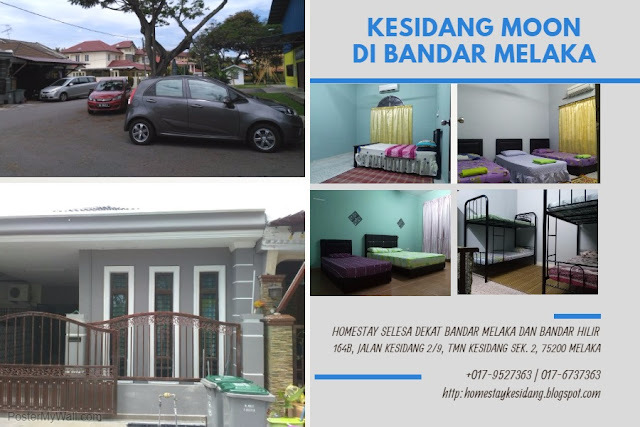 Fort A Famosa is situated in Banda Hilir, neighbouring Melaka Palace Muzium, Girls Primary Convent (SRK Sacred Heart Convent), Guys Secondary Convent (SMK St. Francis Xavier) and a walking distance from Melaka Equatorial Hotel. The Famous “Padang Pahlawan” has been replaced with a shopping mall for tourist. In 1511 a Portuguese fleet arrived under the command of Alfonso de Albequerque attacked and successfully defeated the armies of Sultan Melaka. To consolidate his gains, Albequerque had the fortress built around a natural hill near the sea. Albequerque believed that Melaka would become an important port linking Portugal to the spice trade from China. At his time other Portuguese were establishing outposts in such places as Macau, China and Goa, India in order to create a string of friendly ports for ships heading to China and returning home to Portugal. 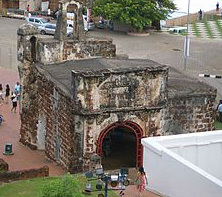 In late November 2006, a structure part of the fort, believed to be the Middelsburgh Bastion was accidentally uncovered during the construction of 110 meter revolving tower in Malacca Town. The construction of the tower has been postponed indefinitely following the discovery. 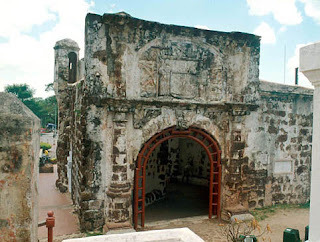 Malacca Museums Corporation suspects the structure was built by the Dutch during the Dutch occupation of Malacca from 1641 to 1824. 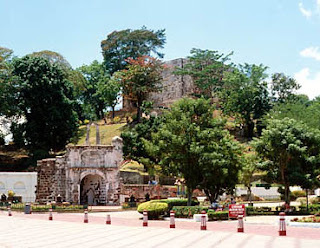 Earlier in June 2003, a watchtower named Santiago Bastion was discovered during the construction of Dataran Pahlawan.